Story of the Week: One Wicked Impulse! 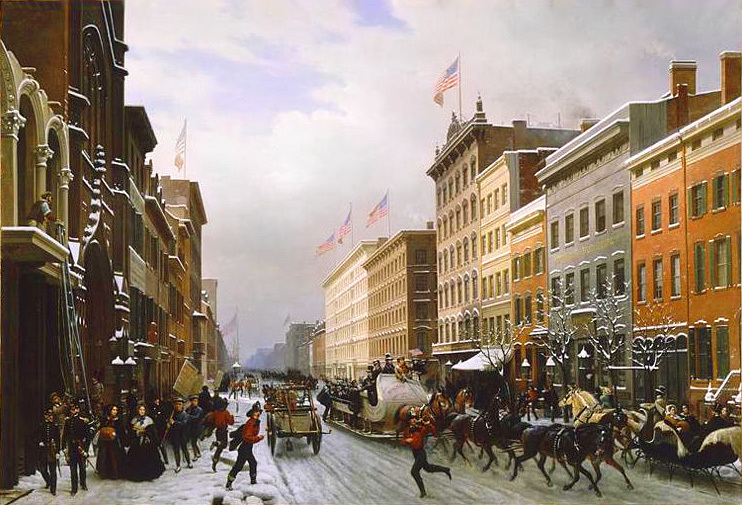 Rue de New York [Broadway at Spring Street], c. 1850–55, oil on canvas by French artist Hippolyte Sebron (1801–1879). An entry in Whitman’s journal records, “Fall and winter of 1842 boarded at Mrs. R. in Spring st.”—not far from the scene of Sebron’s painting. 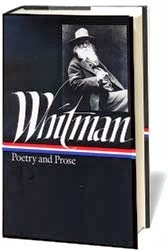 Four years later Whitman wrote, “What a fascinating chaos is Broadway, of a pleasant sunny time. We know it is all, (or most of it,) ‘fol-de-rol,’ but still there is a pleasure in walking up and down there awhile.” Image courtesy of Wikimedia Commons. A previous Story of the Week selection, “Wild Frank’s Return,” introduced readers to Walt Whitman's relatively unknown fiction, all written during the 1840s when he was in his twenties. Among the numerous pieces of fiction he published during this period, “One Wicked Impulse!” particularly stands out, if only because he reprinted—and revised—this story more than any of the others. “One Wicked Impulse!” first appeared in 1845 as “Revenge and Requital: A Tale of a Murderer Escaped” in the Democratic Review; the story then reappeared later that year in the New York Weekly News and several other papers. The following year, it was published with minor changes and a new title in the Brooklyn Daily Eagle. When Whitman included it in Specimen Days & Collect four decades later, he not only used the later title but also replaced the overlong final section with a more ambiguous and appropriate two-sentence paragraph. The following summary of the original ending contains “spoilers”; readers may wish to read the rest of this introduction after finishing the story, which is presented here in its revised version. “One Wicked Impulse!” enjoyed an odd and brief renaissance when it was reprinted in the January 1954 issue of Ellery Queen Mystery Magazine and was the source later that year for the second episode of the third and final season of the series Your Favorite Story, with a teleplay by Arthur Fitz-Richard—which may have been the first-ever television adaptation of a work by Walt Whitman. The film for the episode has since been lost. That section of Nassau street which runs into the great mart of New York brokers and stock-jobbers, has for a long time been much occupied by practitioners of the law. . . . If you don't see the full selection below, click here (PDF) or click here (Google Docs) to read it—free!